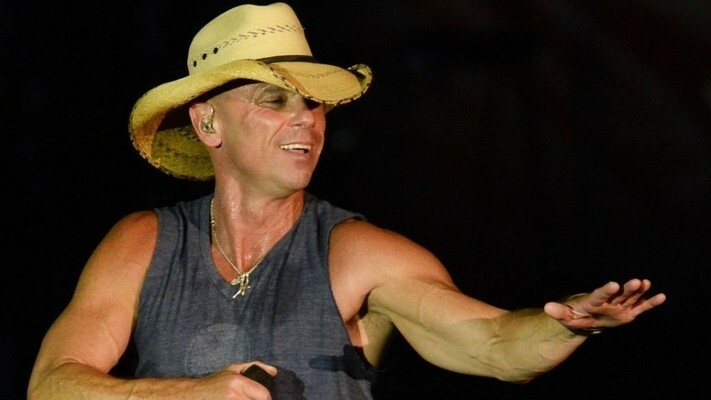 Kenny Chesney did not have the typical fast and easy approach to country music superstardom. He dove into music during college when he was gifted his first guitar. Shortly after, he joined a bluegrass band there at his school. Chesney performed for tips at a local restaurant, but understood that he was not going to get recognized at a place of that capacity. With this in mind Chesney packed up and moved to Nashville in pursuit of a music career. Upon his arrival, he became the resident performer at a quaint place called, The Turf. Chesney first signed to a small label there in Nashville where he then released his debut album that sold 100,000 copies. Chesney's career was not going to take off at the small label after its country division shut down entirely, so he made the move to label BNA. While signed to the label, Chesney released four records that led to a turning point in his career with millions of copies sold, top ten hits secured, and a Greatest Hits Compilation that was released in 2000. His 2004 release of When the Sun Goes Down won Album of the Year at the Country Music Awards. After releasing his 13th studio album Welcome to the Fishbowl under BNA, Chesney moved over to Columbia Nashville where he quickly released two additional albums, Life on a Rock and The Big Revival. Since, Chesney has released album, Cosmic Hallelujah, and a live concert album as of recently which marks the first time he has done so in over 10 years.